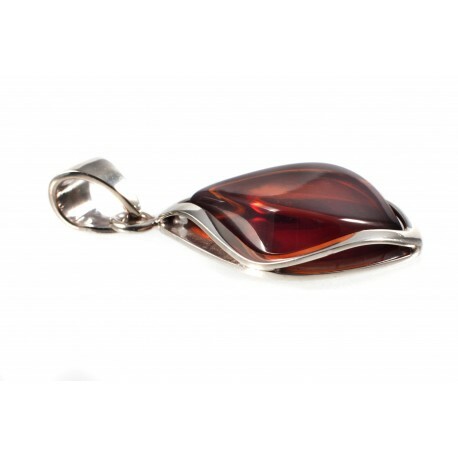 A sleek silver wave, smoothly shrouding a transparent amber nugget. Cold silver contrastingly goes with the warming cognac color amber. The power of amber - its streamlined ease and naturalness. Therefore, a person wearing amber is slowly inevitably becomes natural oneself. The naturalness appears not only in oneself, one's behaviour, but also, in one's surroundings, of course, works. Therefore, the success shipped by amber is natural - it is not being fought for. It simply comes when working consistently and deliberately.